Get better life and brighter light by upgrading your lighting using Xtreme Duty™ Metal Halide 1500W M48PC 4000K lamps from MEBULBS. The compact bulbs are designed to burn more efficiently than fluorescent or incandescent bulbs, delivering a greater amount of visible light for each unit of power consumed. Enjoy brighter, more reliable lighting where it's needed the most by upgrading your existing bulbs to Xtreme Duty™ Metal Halide lamps from MEBULBS. Xtreme Duty™ Metal Halide 1500W M48PC 4000K lamps have a rounded shape and a crystal clear exterior that won't dilute or diffuse your light. 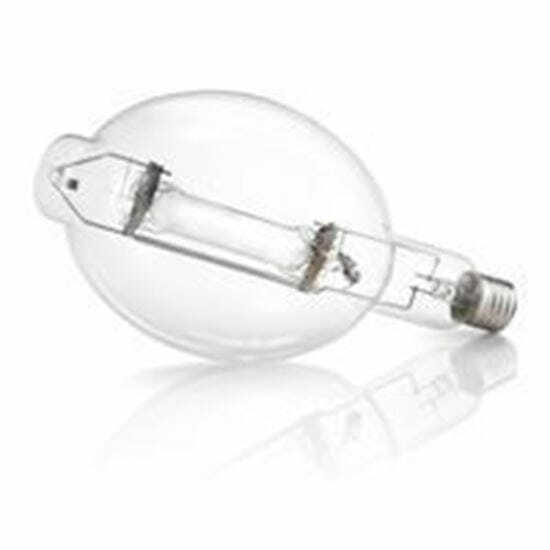 The bulbs feature a universal burning position for greater reliability and a mogul base with an enclosed fixture rating. These bulbs come backed by a two-year warranty for peace of mind and are a great investment for businesses and commercial users alike. Please note that the lamp size and wattage must match the bulb.